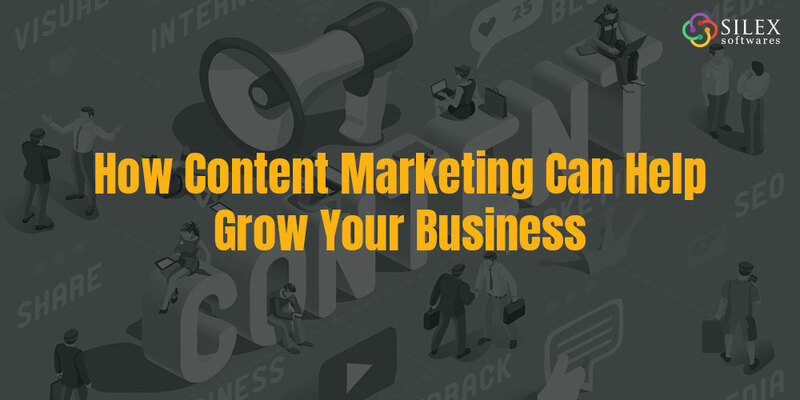 How Content Marketing Can Help Grow Your Business - Silex Softwares Pvt. Ltd.
Digital Marketing plays a pivotal role to connect with potential customers and targeted audience and content marketing is a golden key to do that. If you still think that content is not giving you an edge over your competition, think again. Its fact, companies, and organizations have been using content to explain their products and services for decades. Right from websites to emails, flyers to brochures, everything is graced with relevant content. The trend is still the same, but a huge change has been witnessed in the concept of using the content. These days, content marketing is grown to that extent that it can be used to transform business, bringing higher ROI as compared to traditional marketing ways. For those who are not familiar with the term content marketing, here we go. Content marketing is to create and share quality, effective, and relevant content to attract and convert the potential audience into visitors and then into customers. This can be done by writing blogs, video content, sharing content for social posts, podcasts, and more. Content, you use, should always be informative and correlated to your products and services, so as to attract potential customers to connect with your business or brand. Taking of search engines like Google or Bing receives thousands of searches per second from the users around the world and each search made by users is an opportunity for a company to get connected with the targeted audience, be it related to IT or Education. The more content you use to explain your products or services, the more are the chances to get in front of significant searches. But make sure to employ SEO-rich content only. For instance: If a user is looking for your services like web designing or development and finds your website in SERPs. It is only content used as Meta Title or Description that will connect your brand with the user and is likely to take him/her to your site. Thus, using quality content is the need of an hour to grow the reach of your business in today’s competitive world. Almost everyone, these days, is active on social media platforms to connect with family, friends, and business peers. But the relationship trends followed are a bit different. Users are liking and following the content that interests them, even if there is no relation between the follower and the one who posted the content. Thus, posting interesting and engaging content will help you gain fans and followers, which can be later turned into customers. Convince your targeted audience by writing best-in-class content. Not everyone can make quality content, thus it’s better to hire a professional like Silex Softwares for getting content that stands out to help you take your business to the next level.